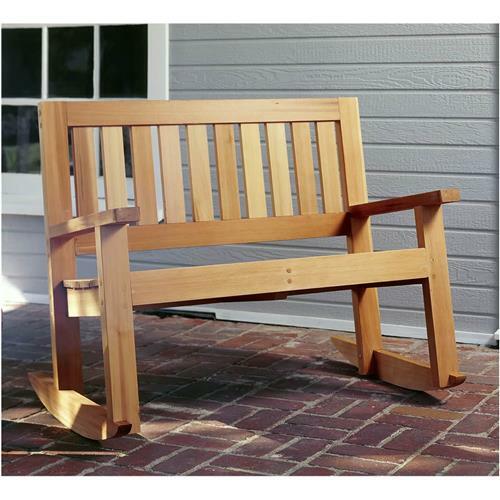 America's favorite woodworking plans since 1948, U-bild plans are ideal for woodworkers and do-it-yourselfers of all skill levels. Their unique "trace, saw and assemble" designs feature simple-to-follow patterns (like sewing patterns) that allow even beginners to achieve professional results. Each plan features detailed step-by-step instructions, full-size traceable patterns (where needed), in-progress photos, exploded diagrams and complete materials lists and cutting schedules. Double Porch Rocker is 44" long by 36" tall by 29" deep.